The Pacific Northwest experiences the most varied and fascinating weather in the United States, including world-record winter snows, the strongest non-tropical storms in the nation, and shifts from desert to rain forest in a matter of miles. Local weather features dominate the meteorological landscape, from the Puget Sound convergence zone and wind surges along the Washington Coast, to gap winds through the Columbia Gorge and the "Banana Belt" of southern Oregon. This book is the first comprehensive and authoritative guide to Northwest weather that is directed to the general reader; helpful to boaters, hikers, and skiers; and valuable to expert meteorologists. o Why does the Northwest have localized rain shadows? o What is the origin of the hurricane force winds that often buffet the region? o Why does the Northwest have so few thunderstorms? o What is the origin of the Pineapple Express? o Why do ferryboats sometimes seem to float above the water's surface? o Why is it so hard to predict Northwest weather? 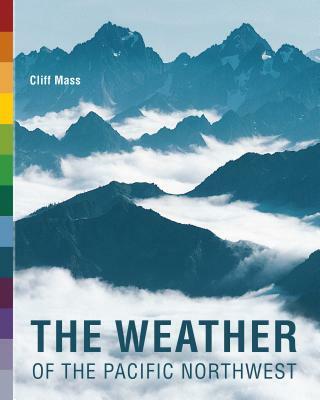 Mass brings together eyewitness accounts, historical records, and meteorological science to explain Pacific Northwest weather. He also considers possible local effects of global warming. The final chapters guide readers in interpreting the Northwest sky and in securing weather information on their own. Cliff Mass , professor of atmospheric sciences at the University of Washington and weekly guest on KUOW radio, is the preeminent authority on Northwest weather. He has published dozens of articles on Northwest weather and leads the regional development of advanced weather prediction tools.